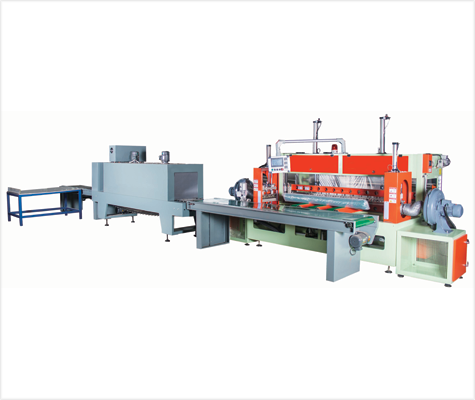 The Gayatritex manufacturers, suppliers and exporters of fabric roll packing machine, Pack Master is fully automatic of fabric roll packing machine. It produce presentable packed fabric Roll Packing Machine, Automatic Than Packing Machine and Fabric Roll Automatic Packing Machine rolls with high production rate and low cost. Pack Master can be incorporated with number of inspection machine using conveyor system. Gayatritex manufacturers, suppliers and exporters of fabric roll packing machine, automatic than packing machine and fabric roll automatic packing machine in Mumbai India to worldwide with quality features. After packing fabric rolls are transported to a shrinking unit to shrink pack the rolls which again is offered on trolley.